Irish group Kodaline have come a long way. When Clash first saw them, the band were bottom of the bill in West London, but already it was clear they had huge ambitions. Now a phenomenon in their native Ireland, the group's new album 'Politics Of Living' is out now, and it could propel them to similar heights on this side of the Irish sea. 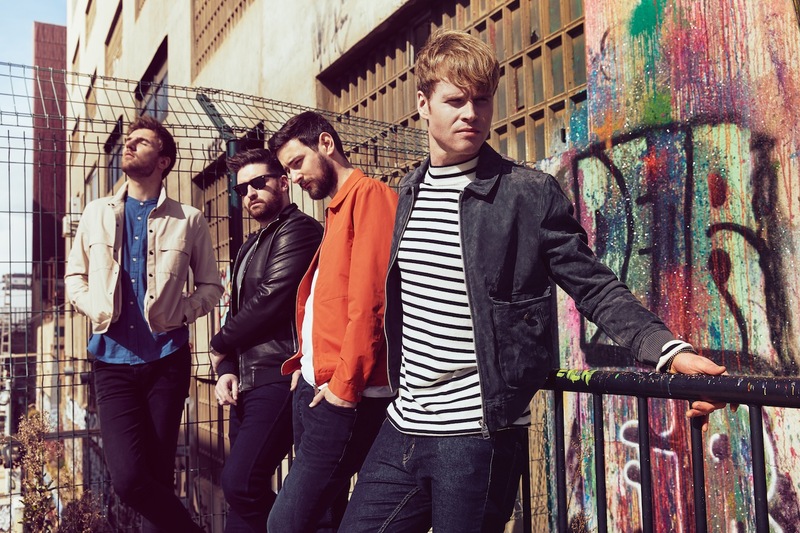 Set to complete a massive arena tour in January and February, Kodaline are riding the crest of a wave, as far from those unglamorous toilet venue slots as its possible to get. They're still in touch with their roots, however; here, drummer Vinny May Jr. runs through his Foundations, the albums that first inspired him... and they still do! As live albums go this has to be up there with the best of them! I remember first listening to this album when I was 12/13 yrs old and just being blown away - the set-list is just huge hits and pretty much all my favourite songs. Being from Dublin like the band themselves was a huge inspiration that you too could start a band and make it big. Nearly every young band starting out with your friends from school etc will always play a Thin Lizzy song in a jam room or at their first few gigs and it’s still true to this day. Walk by any rehearsal space where you have young bands playing and you will hear 'Dancing In The Moonlight' or 'Boys Are Back In Town'! Incubus were one of the first bands that I went to a gig without my parents but with my friends and from being a fan since I was like 10 (a year after I started playing drums) it was one of the best experiences! This album is just amazing, it was the first album I would tell people to listen to if I was trying to spread the word. With tracks like 'Aqueous Transmission' to 'Circles' just shows you the scope of the bands musicality. Still one of my favourite albums that I’ll put on in the car on a long drive. You just have to list the hits on this record and that does all the talking: '99 Problems', 'Dirt Off Your Shoulder', 'Change Clothes'... This album was my introduction into Jay-Z and have been a huge fan ever since! I know this is probably on a lot of people’s lists but it has to be on mine too! I think this album is responsible for the start of my love affair for all things hip-hop and rap. I was nine when this album came out and I remember getting a copy of this from a friend's brother and hiding it from my folks as it had parental advisory on the cover. I would put headphones into my Walkman and listen to this on repeat for hours on end! Again, another album that I still listen to on a regular basis. My dad is hugely into jazz and blues and growing up I would always sit by his stereo and listen to different albums with him. When it came to going to my drum lessons as a kid my dad wanted me not just to learn to play rock and pop but jazz and blues so I would be more rounded as a musician. It’s something that’s stuck with me and really helped me as I grew as a person and musician. This album and in particular a song called 'The Joy Of Cooking' was hugely influential on me as a young kid hearing a big band for the first time. Two amazing talents tackling one of the godfathers of jazz and swing’s arrangements Count Basie. 'Politics Of Living' is out now.